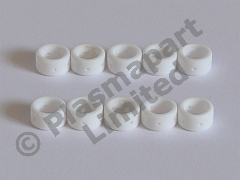 The swirl rings are sintered ceramic. This pack is supplied as shown, and contains 10 swirl rings. Model 33367.